Johann Sebastian Bach's music forms the backdrop to this stunning novel about motherhood and loss. Following the death of her daughter, a bereaved pianist immerses herself in Bach's Goldberg Variations. As the woman perfects the complex musical architecture of Bach's own study in grief, memories of her past unfold. A family - mother, father, son, and daughter - appear during various stages of their lives together in this story, which builds up to a crescendo of great emotional power. 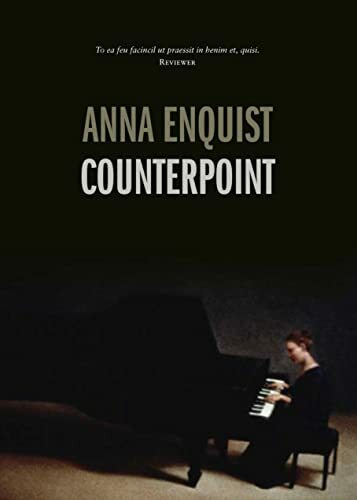 Beautifully written with a powerful insight into grief and mourning, Counterpoint - by Anna Enquist, one of Holland's best loved writers of quality fiction - has already sold 100,000 copies in the Netherlands alone and has been masterfully translated into many languages. Enquist is also the author of the widely-translated and bestselling novels The Secret and The Masterpiece. Anna Enquist is a musician, psychoanalyst, poet and novelist. She is a critically acclaimed and bestselling author throughout Europe. Counterpoint is her fourth novel and the first to be translated for an Australian audience.